The Nuffield Centre for Experimental Social Sciences of the University of Oxford organizes the First International Meeting on Experimental and Behavioral Social Sciences (IMEBESS), with Jordi Brandts (Institut d’Anàlisi Econòmica (CSIC) and Barcelona GSE), Raymond Duch (Nuffield College Oxford University), Enrique Fatás (University of East Anglia) and Diego Gambetta (European University Institute). IMEBESS is a succession of the International Meeting series on Experimental and Behavioral Economics (IMEBE). IMEBESS intends to bring together researchers in all areas of the social sciences who are interested in experimental methods. We believe that behavioural economics is increasingly informed by a very diverse range of research traditions. Hence, we are particularly interested in the participation of all the diverse social science disciplines with an interest in experimental research. The program will consist of a number of invited and contributed talks. Proposals for contributed papers should be sent, in the form of an extended abstract or a full paper, to the organizers through the registration form at IMEBESS-website. Both theoretical and empirical papers on the topics in all areas of the social sciences, such as experimental and behavioural economics, sociology, political science, psychology are encouraged. The deadline for submitting papers is February 15, 2014. Authors will receive notification of acceptance by March 1, 2014. There will be a registration fee and additional information about the meeting will be posted on the IMEBESS-webpage as it comes up. The conference will be held at Nuffield College, Oxford, UK. Located in the centre of Oxford, with excellent access to any part of the city, Nuffield College is minutes away from Oxford Railway and the main Bus (Gloucester Green) Station providing easy access to central London as well as the main airports (e.g., Heathrow and Gatwick). There will be Free WiFi internet access in the public areas.  By rail: Oxford railway station is a 5-6 minute walk from Nuffield College. By bus: Frequent services from Heathrow Airport or central London: the Gloucester Green bus station is a 2 minute walk from Nuffield College. Services also from Gatwick, Cambridge, and Stansted. By car: from the A34 (Oxford Western bypass), take the A420 Botley exit towards Oxford. Follow the signs towards the City Centre, along the Botley Road; pass under the railway bridge, and turn right at the next set of traffic lights. Then immediately turn left into Park End Street; at the end on the left is the entrance to a public car park, just opposite Nuffield College. Note that this car park is often full at busy times. Oxford traffic is notoriously bad. Avoid coming by car if you can. At busy times, if you do come by road, use the Park & Ride service from Seacourt (signposted from the A420 exit of the A34). The Park & Ride bus sets and picks up on New Road, outside Nuffield College. The College can provided only limited accommodation and therefore we will be providing participants with a variety of accommodation options for the Oxford area. Conference attendees are responsible for their own accomodations in Oxford. For those interested in staying at one of the colleges, rooms may be booked through http://www.oxfordrooms.co.uk. Submission: The deadline for submitting papers has been extended to the 22nd of February. Proposals for contributed papers should be sent, in the form of an extended abstract or a full paper. Registration: Registration includes conference meals, coffee-breaks, the welcome reception and the conference dinner. Any guided visit is not included in the fee. The deadline for registering to the conference ends on March 15, 2014 for presenting authors. After March 15 and before April 1: £253. The fees include the reception and conference dinner. Cancellation received 29 calendar days or more before the conference start date will be entitled to a full refund, less a £25 administrative fee. Cancellation received between 15 and 28 calendar days (inclusive) before the start of the conference will be entitles to a 50% refund of the registration fee, less a £25 administrative fee. Late cancellations received between 1 day and 14 days (inclusive) prior to the start of the conference or failure to attend will be not be entitled to any refund. In the unlikely event that the conference has to be cancelled or its date altered, a full refund will be offered to all delegates.